“After” is directed by Jenny Gage and is an adaptation of a fan fiction written about the popular band, One Direction. I know, the recipe for cinematic gold. It stars Josephine Langford as Tessa, a new freshman in college who gets mixed up with a guy named, Hardin (Hero Fiennes Tiffin). At first, the two are polar opposites, Tessa being a more reserved and school-focused student, while Hardin is a rule breaker and parties often. The two continue to have encounters throughout the movie and they eventually begin the worst on-screen romance since the “Fifty Shades” trilogy. If you couldn’t tell by this incredible introduction, I hated this movie. Adaptations of fan fictions or books written by people who are not actually authors are what is wrong with cinema today. With a few minor exceptions (“Twilight,” “Fifty Shades”), these movies rarely do well at the box office or critically. 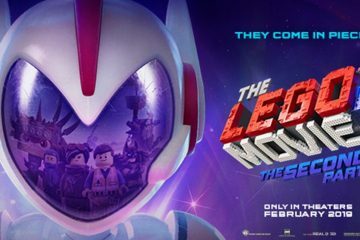 I sat in an empty theater and watched this movie, and the best part of my experience was when an elderly couple sat down in the back and slowly realized that they were in the wrong theater. That was entertaining, but still not even close to worth the price of admission. I don’t even know where to start with this movie. The actors are actually playing into their stereotypes and it doesn’t work. For example, Hero Fiennes Tiffin is remarkably awful in this movie. Not a single member of the cast delivers a serviceable performance, but Tiffin is a lousy standout for his constant bruting and duck face that he never seems to shed throughout the entire movie. It almost feels like Tiffin was under the influence during production because of how dry and sterile his performance is. Josephine Langford isn’t much better. A lot of her emotional moments result in crying or yelling. There isn’t any subtlety coming from any of these actors. Every scene feels the same because no character has an arc. Not one actor pushes their character forward to the point where you can see a change in their actions from beginning to end. It really is tough to bash the actors for this monstrosity because this movie is 100 percent the fault of the crew working behind the camera. The script adapted from the source material is plain awful. I found myself audibly laughing at the ridiculous things the characters would say. This was mainly because the lines were so cliche and boring in addition to incredibly poor line delivery from the cast. I don’t know why studios continue to think it is a good idea to make movies based on fan fictions. There’s a place for these sort of things and it isn’t in live-action. The direction from Jenny Gage is also incredibly weak. There are so many scenes in the first and second act that have zero purpose to the story as a whole. However, with smarter direction and the director finding the key purpose of each scene, these moments could have worked. It doesn’t seem like Jenny Gage was the right choice for this job. These are the types of movies that should be 90 minutes long, but “After” overstays its welcome with a 106 minute runtime that you feel every second of. Even the overall production quality is bad. Scenes are flatly lit and some shots are even entirely out of focus. The use of slow motion is hilarious in this movie because the camera was definitely not set to shoot in slow motion, so the visuals are choppy and heavily edited to hide this. It’s also established early on that Tessa is attending a fictional school called “Washington Central University.” I find this particular detail funny because early in the movie, I spotted a wall in plain sight with “Emory University” labeled on it. Emory is a school in Atlanta where, I later found out, the movie was shot. It is this sort of laziness from the crew that makes this movie the abomination that it is. I’m sure there are tons of errors that boil down to the crew being lazy in this movie, but I will never revisit it to find out. I’ll say for “After” what I said in my review of “Isn’t It Romantic.” You should already know if this is your type of movie before you see it. If you’re a sucker for romantic dramas like this, you will probably have a great time watching it. If you read the book and loved it, obviously you’re going to see this movie. However, for people, like myself, who seek real tension and drama from films in this genre, avoid “After” at all costs. 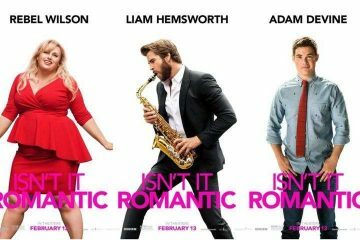 I’m sure there will be better romantic films that get released later this year, so don’t waste your money on this one. Often times, when I see a really bad movie, I can find some enjoyment watching it. Whether it be a really poor script, over the top acting or hilarious, badly rendered visuals, I can often find some part of a bad movie that makes it fun to watch. “After” has none of these qualities and is a slog from beginning to end.